Florida is located firmly in hurricane territory, and condo owners have some unique issues to contend with after a natural disaster. From hurricane shutters to insurance policies, many questions can come up at a time when all most people want to do is focus on fixing any damage that their home may have sustained. 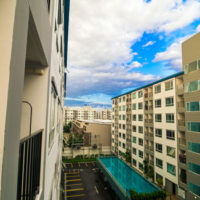 With hurricane season coming up, it is important for you to be aware of the regulations and your responsibilities, as opposed to the condo association’s. Depending on your specific condo board, you may be required to install and maintain impact glass or hurricane shutters, or your condo board may take care of it, given that in many condominium complexes, windows are considered common elements, rather than part of the unit. The board has fairly considerable leeway to regulate on such a score, especially in terms of aesthetics, though there are limits. Before Hurricane Andrew in 1992, boards could stop owners from putting up hurricane shutters for aesthetic reasons, though afterward Florida courts required that condo boards refrain from restricting owners from protecting themselves. If you do live in a unit where the board takes care of installing hurricane protection, but you choose to install it yourself, you may be able to be reimbursed by the association as long as your chosen protection is up to the building code. If your association requires that you install it yourself, the board has a lot of leeway in determining when and how. If you do not comply with those requirements, you may face heavy penalties, not least of all because you will be in breach of your condo agreement, but also for the good of the complex itself. The other common issue that condo owners face after a hurricane is with insurance. While owners are required to maintain insurance – some condo boards get even more specific, such as requiring an HO-6 policy for a certain amount – the condo association will also maintain casualty insurance, which covers common areas and elements, such as windows, roofs and drywall. It can sometimes be difficult to determine what is covered by which policy, and what is not. Florida law is fairly specific about what an association is required to cover, and what an insured owner is required to cover. However, disputes are common because many types of damage can be classified as non-insurable – for example, damages to interior fixtures can be alleged to be secondary damage – and the rules as to what each actor is responsible for differs when casualty insurance does not apply. 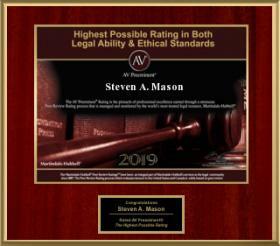 It is these types of situations where a knowledgeable attorney can be helpful. Hurricanes are one of the prices that Floridians pay to live in such a beautiful area, but if your home is damaged as a result of one, it can feel overwhelming to negotiate all the rules as to how to get your condo back to normal. 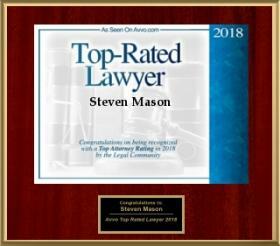 A Hollywood condominium attorney can be of great help if you have questions or concerns, and the Law Offices of Steven A. Mason, P.A. has years of experience that we will put to work for you. 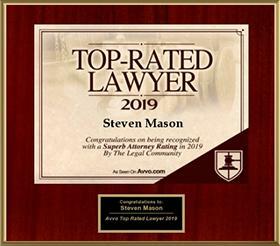 Contact the office today to speak to an attorney.